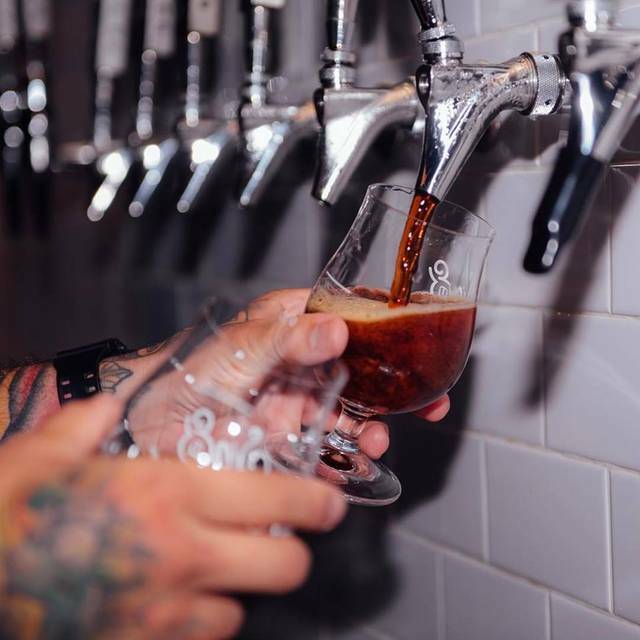 Our story is one of a homegrown passion for brewing honest, expertly-crafted artisanal beer using only the finest ingredients from mash to tap. 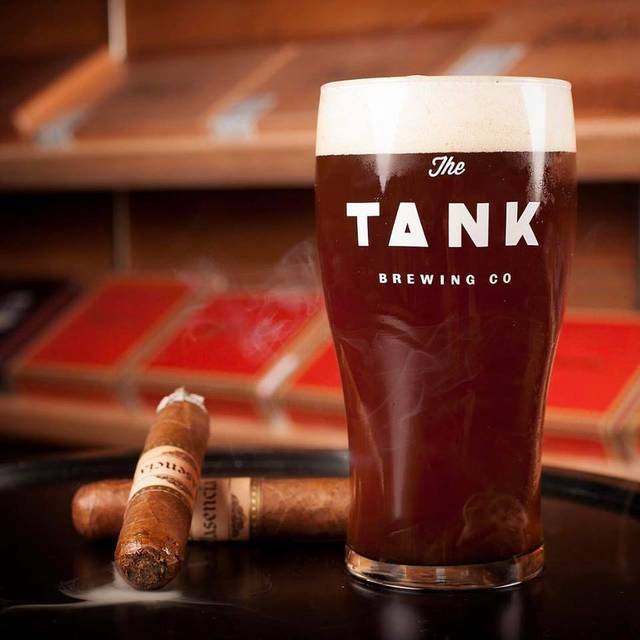 At The Tank Brewing Co., we believe that being a cut above isn’t about cutting corners – but about combining the latest innovations with superior attention to detail and time-honored brewing techniques to create unique, complex flavor profiles as vibrant and diverse as the city we call home. Bold. Unpretentious. Proudly brewed in the heart of Miami. Let’s raise a glass to the true craft of craft beer. What a great experience! I was very happy to celebrate my birthday at Tank! We will all continue to go back often!!! I went here for the first time recently and thought there would be more to the restaurant options. Let me explain. The location is a huge warehouse that has a working brewery a wide selection (12 or so) of their own quality local craft beers, a play area with bean bags, jenga, etc. What was missing was the restaurant experience. I should mention I was there on a Sunday afternoon and thought the menu options available would be broader as indicated on their website. Instead there were maybe a dozen choices that were more "barfood". We had the Manchego Guava burger (you can tell you are in Miami), the Chicken Chicharrones and the marrow cooked potato chips. All were excellent, especially the burger and I'd never had chicken chicharrones before (served with a spicy Buffalo style sauce). We had a flight of beers and then zeroed on what we wanted to drink. Bartender, Gavin, was very helpful and we sat at the bar. There are some high round tables as well as bench type seating. I wish they had a fixed package price for the flights as we were charged the 4 oz charge for each. Gavin told us ahead of time so no surprise but I think they should consider this in future. I suspect the menu may be more complete at other times but really check it out ahead of time so you aren't disappointed as we were. Moral of the story is to check ahead of time or just go for the beer and bar food. Very reasonable prices (burger was $14 and chicharrones $8, chips $4. Beers around $10 for 12 oz pour depending upon your choice. You can also buy beer in six packs/growlers to go. This was a work social event that included a birthday celebration for people in our department. It was a good time. Small birthday celebration for my husband. A bit quiet overall, a bit louder music or other more stimulating ambience would add to this cool space! Twisted Fork food was amazing as were the 🍻 ‘s. Highly recommend this beer lovers spot. If u dont love beers (weird!) they have wine! This is a beer place. Limited wine options. Comfort food is wonderful, but can run out because Twisted Fork is a really good food truck with limited storage. Service can be slow at times, but the folks are nice. Warehouse/Industrial style space, large and airy. Noise can echo, which makes it louder than it seems. Service was excellent, food was comfort style and delicious. The pulled pork sandwich is with mojito and the pulled brisket sandwich is with bbq sauce. 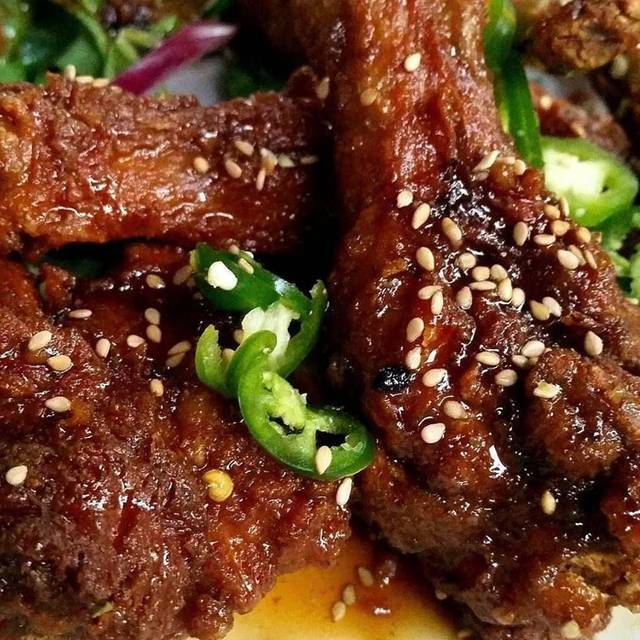 Definitely get some chicken chicharron, you will not regret it. And the beer, oh my. You have a selection. If you're not a beer a drinker they have red and white wine or soft-drinks.